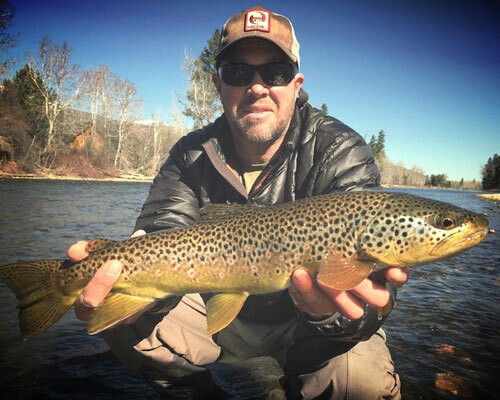 Without a doubt, the key to the past and future success of Montana Fishing Outfitters is the awesome and professional guides we have on our team. Hardworking, fun, patient and knowledgeable are the attributes we look for in our guides and we have been lucky to find some of the best in the business to work with. We have fished with salty-old-dog guides ourselves and know that it is not a fun way to spend a day. The relationship between guide and angler is a personal one, and we do our very best to match our client's personality and experience with that of their guide for their trip. We take great pride in making each and every fishing trip we plan be as fun and productive as possible, and it all begins with the crew below. Where he's from: The Chicagoland area - Go Cubs! 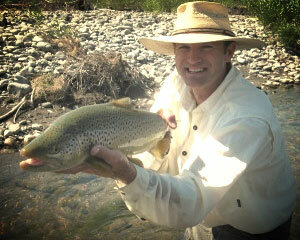 Favorite hatch to fish: Missouri River March Brown hatch - brown trout love those bugs! Where he's from: Northern California, but don’t hold it against me. Favorite Montana water: The Missouri, duh! Favorite hatch to fish: Hoppers! Favorite hatch to fish: Tailwater tricos - the grassier the better! Favorite Montana water: The Bighorn - it produces! Favorite fly to fish: The one that works! Favorite fly to fish: The Chubby! 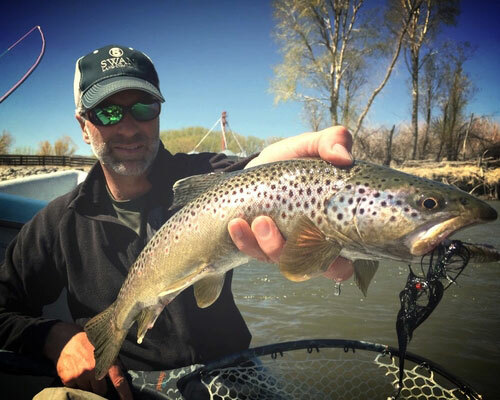 Favorite hatch to fish: Missouri River PMD hatch - practice your reach cast! Where he is now: Missoula...only 20 minutes from Montana for 36 years and counting. Favorite hatch to fish: Spruce Moth hatch - trout go absolutely crazy over these bugs! Where he is now: Bozeman, why would I leave? Favorite Montana water: The Mighty Yellowstone - big & free! Favorite hatch to fish: Is there such thing as a streamer hatch? Favorite Montana water: I could tell you, but well...it's a secret. Where he's from: The State of Missouri - Go Cards! These are our core guides who work for us regularly across the Big Sky state, and your MFO guide might just be an independent contractor (which virtually all licensed Montana fishing guides are), who doesn't work for us quite often enough to make this exclusive list. We have a few of those, so rest assured that all the professional guides who work for us are legit and personally vetted by us as thoroughly as possible. Simply put, we do not hire guides who we wouldn't want to fish with ourselves.